Darigold, Incorporated is the processing and marketing subsidiary of Northwest Dairy Association, or NDA. The company’s headquarters are located in Washington, USA. Darigold was founded in 1918 as a dairy farmers’ cooperative and was originally named United Dairymen’s Association. 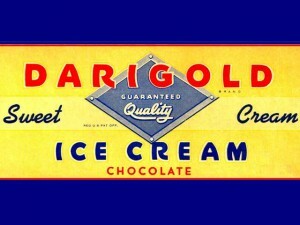 In 1920, the name “Darigold” was born, the result of a contest among dairy families to come up with a brand name for the cooperative’s retail products. Ten years after, Darigold was able to acquire Consolidated Dairy Products Company. In the succeeding years, the cooperative continued to grow steadily, strengthening its market by creating dairy products that would cater to all types of people. For eight years (1999-2007), the cooperative ran its business under the name WestFarm Foods. In 2010, NDA, Darigold’s parent company, acquired Montana’s Country Classic Dairies and added it to the Darigold operations. Currently, Darigold, Incorporated has 12 processing facilities and over 500 farmer members. The majority of its members are farmers from Washington, Idaho, Northern California and Oregon. Its manufacturing facilities are located in different parts of Washington, Idaho and Oregon. Some plant locations include Seattle, Spokane, and Sunnyside in Washington, Medford in Oregon, and Boise and Caldwell in Idaho. Darigold produces over 6.5 billion pounds of milk a year. The cooperative also processes and distributes butter, yogurt, fluid milk, cottage cheese and other dairy products that are cultured. These products are sold under the Darigold® brand name. Darigold also makes these products and distributes them to private label companies. Darigold distributes its products to foodservice operators, retail food businesses and wholesale food companies. Some of the cooperative’s customers include Albertson’s, Safeway and Fred Meyer. Today, Darigold is one of the country’s biggest agricultural cooperatives. In the area of the Pacific Northwest, where the known industries include coffee, beauty and computer technology, Darigold is the one name is known for having the best dairy products. The cooperative takes pride in listening to its customers’ needs and the people and equipment of the cooperative work together to provide consumers with excellent dairy products and good service. Darigold continues to deliver more value-added products, as well as solutions that are customer-driven. The company is now known for delivering wholesome and fresh products to consumers in the country and all over the world, as well. Can you please send me coupons for your products.